Brandt Snedeker is an American professional golfer who plays on the PGA Tour. He won the 2012 FedEx Cup with a victory in the season-ending Tour Championship at East Lake Golf Club. After this victory, he moved into the top ten of the Official World Golf Ranking for the first time in his career. In February 2013, after winning the AT&T Pebble Beach National Pro-Am, he moved to a career high of number four in the world. 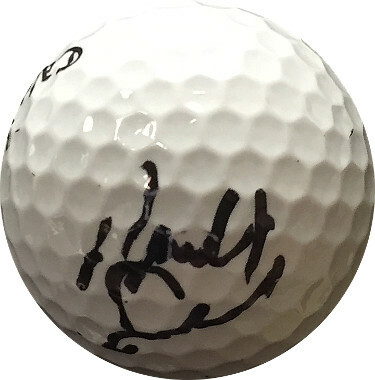 Brandt Snedeker has hand signed this Official Calloway Golf Ball. Beckett Hologram and Certificate of Authenticity.